Prof. Reichwald has been head of the Institute for Information, Organization and Management at the Technische Universität München (TUM) since 1990 and has turned this institute into one of the largest and most renowned for business administration in Germany.The founding of the new TUM Business School builds on a deep commitment of the entire university,its president, faculties, staff and students. Engaging in this ambitious start-up was one of Ralf Reichwald’s most prominent projects in the last few years. 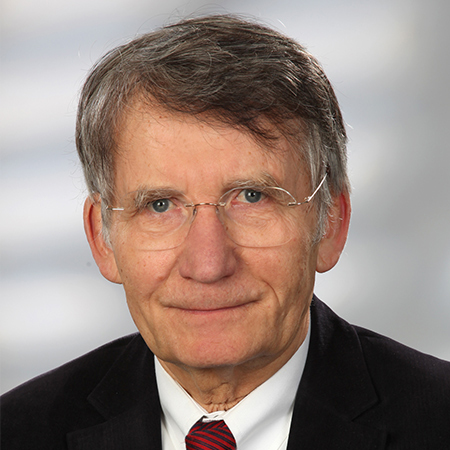 In 2002 he was elected to be the first dean of the TUM Business School.Furthermore, from 1991 until 1993, he was founding dean of the Faculty of Economics, Business and Management Studies at the Technical University of Freiberg, Saxony; the university awarded him an honorary doctorate in 1994.In 1987 Ralf Reichwald became director of the Department of General Business Administration at the University of the Federal Armed Forces, Munich. In 1975, at the age of 32, he had become associate professor for business administration at the same university.